Here’s a shocker: it’s a good idea to drink a lot of water. Actually, it’s about the only thing out there than can be indulged in without limits. Especially when flying in a metal tube above the weather at 10 000 feet cabin altitude, and the flight attendants are nowhere to be found. As it happens, it’s when you most need something that it’s nowhere to be found. Like a simple bottle of water with (reasonably) cold water. 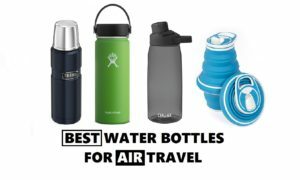 Today, we’ll talk about the subtleties of water bottles for air travel, why to get one and what are the best ones out there. We’ll look at the best bottles from an air travel standpoint, but also as a travel bottle once you’re at your destination. Let’s dive straight into it! How do you achieve that? Two words: vaccum flask. These bottles, usually made of stainless steel, have a double wall enclosing a vacuum. Since there is no gas inbetween the walls, the heat transfer between the drink and the outside is minimal. As a result, most bottles are able to keep coffee or tea steaming hot for at least 6 hours and warm for about 12h. Cold drinks and water are usually kept cold for much longer, around 24h. 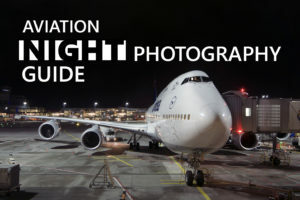 Unfortunately, since about 2001, it is not allowed to carry liquids onboard. 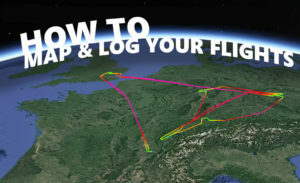 But hey, now that you have a bottle, you can fill it up after security, and after you landed, now make fresh coffe or tea the next morning at the hotel (or the campfire) and enjoy it wherever you enjoy to go (especially where no one else has access to coffee!). This is my personal favourite. 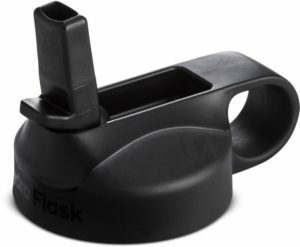 I’ve owned vacuum flasks with similar form factors to this one, and I find them just right! 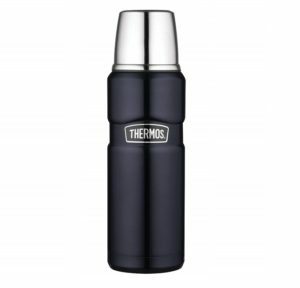 Thermos is one of the original vacuum flasks brands, and the Thermos 16 oz (473 mL) Stainless King, is possibly the best bottle you can get, for a reasonable price too. The best part is the lid-cup. It allows you to easily pour your steaming hot beaverages into the lid-cup, anywhere (no need for cups, no risk of burning yourself). You can also take the lid off and take large sips of cold water. The design is on point too – this is one sleek looking bottle. I like the textured paint they got going, but the bare metal finish looks great too. The only issue I have with the Thermos is that it doesn’t have any attach points. But water bottles and coffee mugs don’t either, so I guess it is not such a big deal. 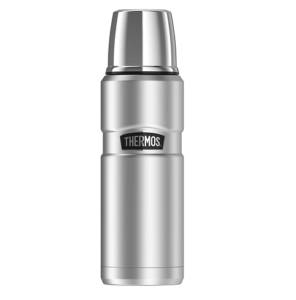 See the Thermos Stainless King 16 oz on Amazon. This simple bottle is getting a lot of action around the world. 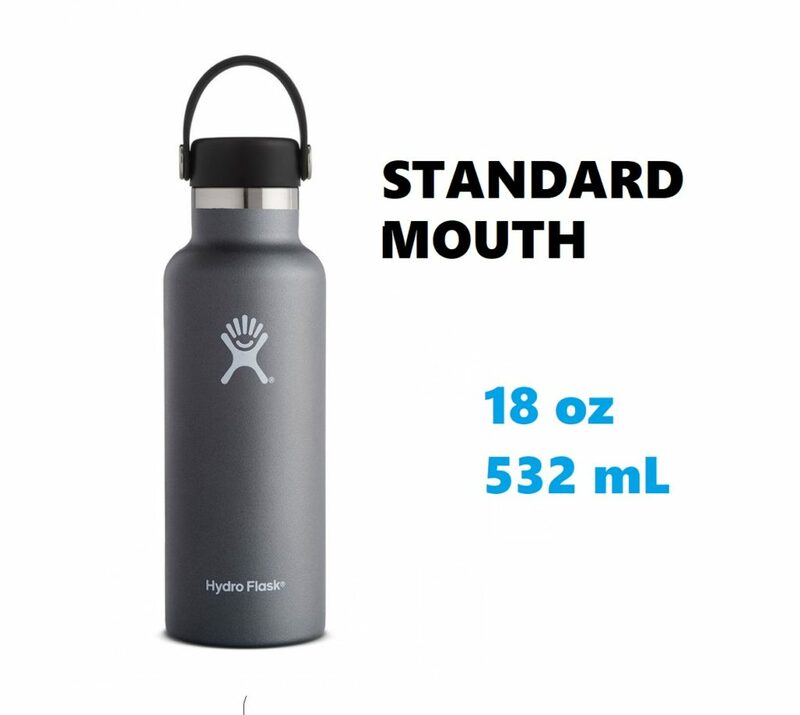 The Hydro Flask is a solid, stainless stell vacuum flask that comes in various sizes, lid options and and an anti-slip finish. Just like the other thermo bottles, this one will keep your water cold and fresh for a good while – at least 24h. For air travel, since this bottle doesn’t have a lid-cup, I would recommend the straw-lid. It does come at a premium, but it is also more practical to drink from hands-free. If you want to save a few dollars and don’t care for the straw-lid, the regular screw-on cap is a safe option too. Note that only the wide-mouth comes with the straw lid, the narrower bottle comes with a sport cap mouth-lid. I cannot tell how satistfying it is to be able take to take a cold sip at ANY time. The last time had a moment like this was not in an airplane, but while rock climbing on a very hot day. After a few hours, when everyone else’s drinks we warm, I rememebered I had my flask with ice in it! Needless to say, it was f-r-e-s-h! It’s almost mind boggling. One thing to note is that as with anything involving liquids and small parts, this will require additional attention when it comes to cleaning. Oh one more thing, Wranglerstar reviewed it and it’s his favourite bottle apparently. In his video review, he does say that the bottle can hold 40 litres (so as the top comment points out, it must be the tardis inside or something! ), but I’m sure it was just slip of the tongue. So that’s the Hydro Flask for you. Here’s a tip: throw in a few ice cubes inside before closing the flask and enjoy icy sips for the rest of the day. See the Hydro Flask on Amazon. Main advantages? Price, weight and ease of drinking. And for the second contender, size! Plastic and silicon bottles come in various colors, shapes and form factors, and can take the most punishment. It’s important to make sure the plastics are BPA and BPS free (most are, but it never hurts to check). They are the lightest of all materials, and some of them can fold. The advantage of this bottle that despite being light, it is strong and well made. 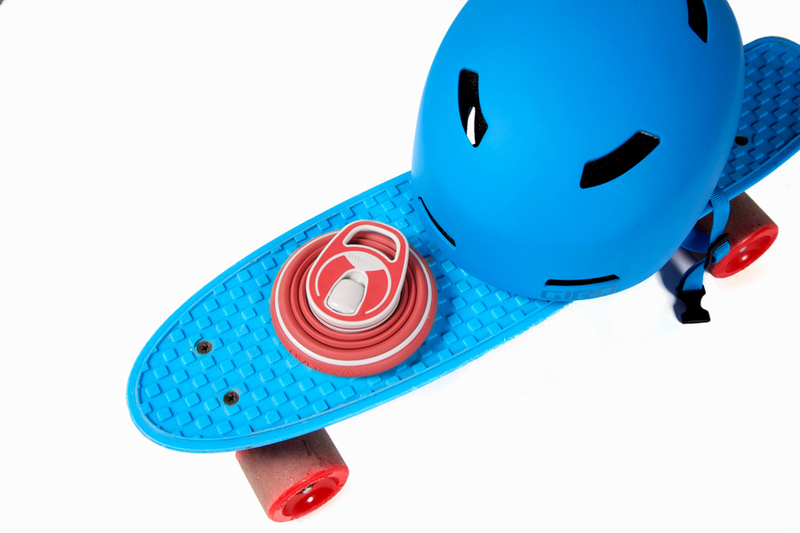 It comes with a scew-on pop-up lid, which is held by a plastic part and then “attaches” to the bottle using a… magnet! Here’s the lid in detail. 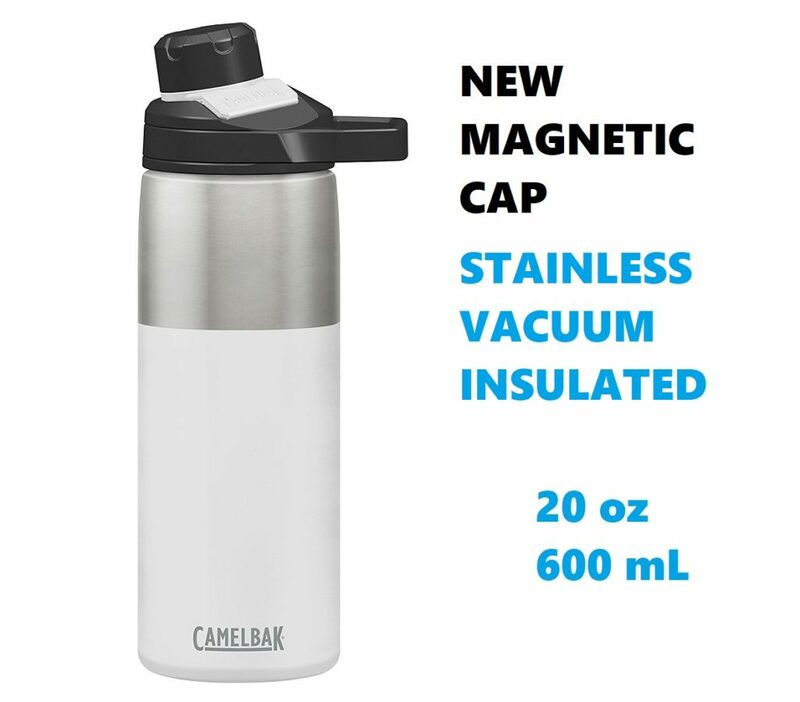 So not only you will never loose the lid, but it also stays out of the way without being annoying (alternatively, there’s the older version of the bottle where the cap cap is held by a plastic ring and slides into a slot in the handle). The Camelbak Chute comes in various sizes, 13, 20, 25, 32 oz, the best for air travel being anything between 13 and 20 which have a small form factor. It also comes as a Stainless Steel Vacuum Flask (I’ve keept it in this section for convenience sake). The bottle has a large mouthpiece with the lid off, and is transparent, so it is easy to clean, which is an important factor when it comes to reuseable water bottles. 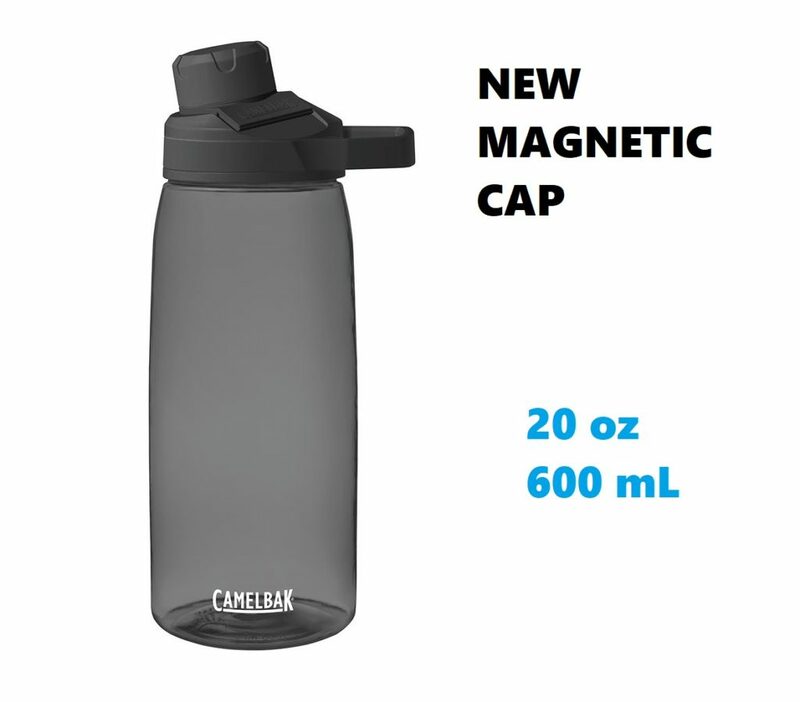 See the Camelbak Chute 20 oz bottle on Amazon. So far, we have seen high quality bottles that keep you liquid cold, warm and look good while doing it. 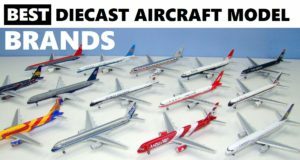 None of them adresses one main selection factor for air travel : volume, i.e how many less pieces of electronics, or underwear you can take on the trip with you. Now, the bottles we saw earlier are not huge either, they are, more or less, the size of normal 16 oz bottle, or about 2 rolled up t-shirts. The Hydaway bottle is minuscule compared to the other 3! At 21 ouces (or about 600 mL), it is only about 1.25 inches (3 cm) tall and 4.25 inches (11 cm) in diametre. This bottle has other strong points too. 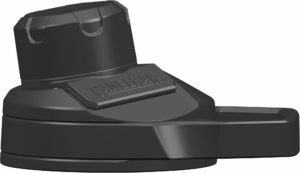 You can put it into the diswasher, it is made of food-grade certified silicone and plastic, it has a hook so you can attach it anywhere, or put it in your pocket. 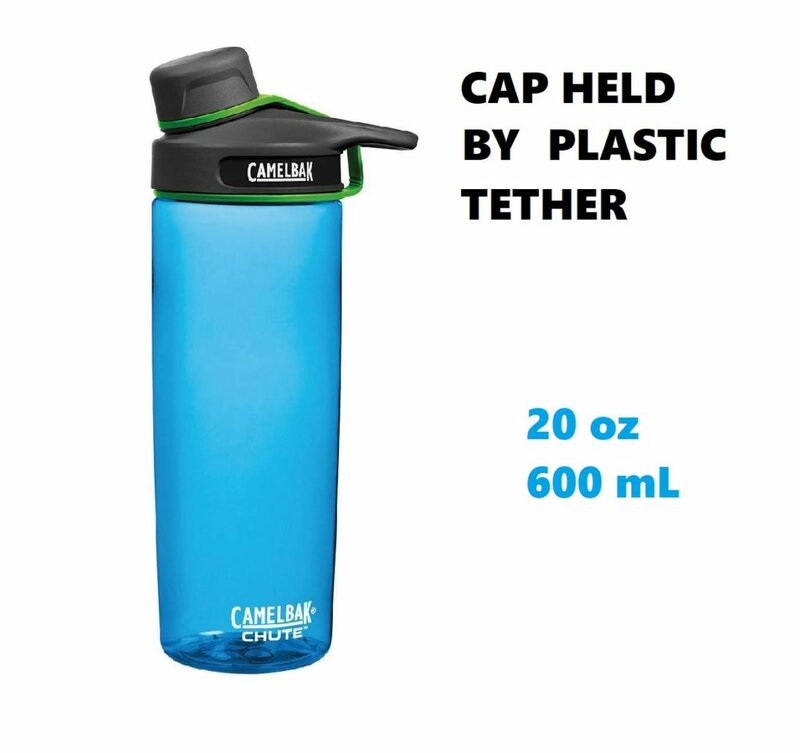 It has quickly become a best seller, and although it is not the cheapest compared to non metal bottles, let’s not forget that this bottle has come from a Kickstarter campaign, and this folding concept is relatively new, especially for a water bottle. 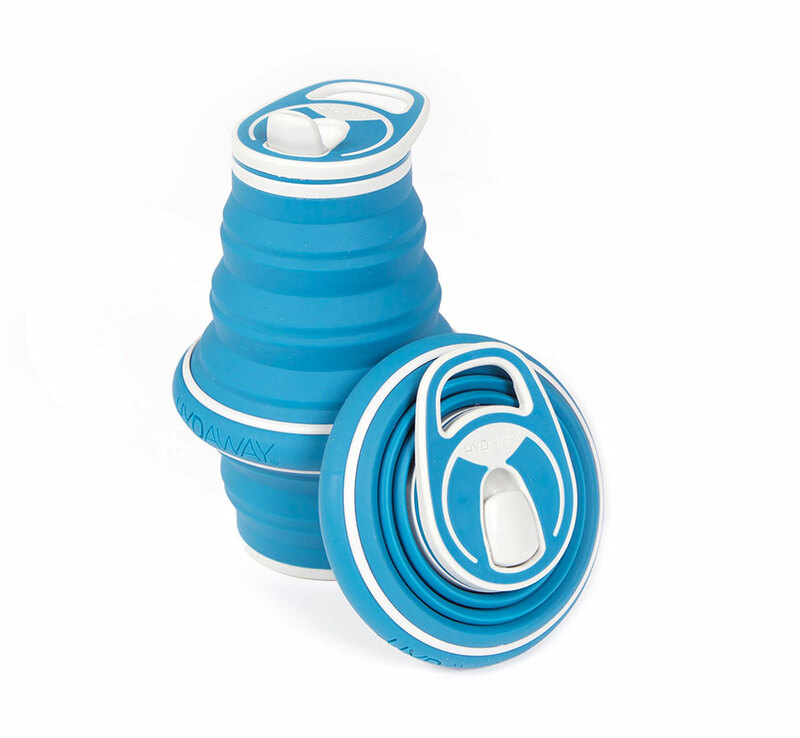 You can get the Hydaway Collapsible 21 oz Water Bottle on Amazon. 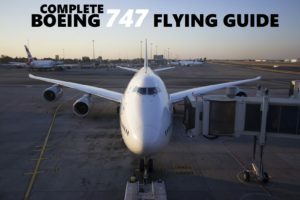 After you’ve glanced at the price tag of a simple half litre water bottle, or any other drink for that matter, in an airside convenience store, chances are you eyebrow quickly raised in an uncontrollable manner. Tap water in the US is $2 per 1000 gallons. Bottled water goes for anything between $1,1 and $1,4 per gallon. Two choices, spend your hard earned money on something that flows from you tap for, literally, a thousand times cheaper, or get your own, shiny and fresh water bottle. That’s not even talking about how much plastic bottles it is possible to save over the long run – plus, you can use it for sport, travel and even take if to work – obviously. A thermos, glass or plastic bottle can last for years if taken care of well. That can translate into hundreds of plastic bottles saved, and a significant of money too, and of course the convenience of having a liquid container at hand. Tap water is anything between 200 to 2000 times cheaper than bottled water. Homemade coffee is at least 5 times cheaper and I’m sure you’ve already experienced buyer’s remorse after shelling out 3 bucks for a teabag and some hot water in a coffee shop. Here’s the best part. 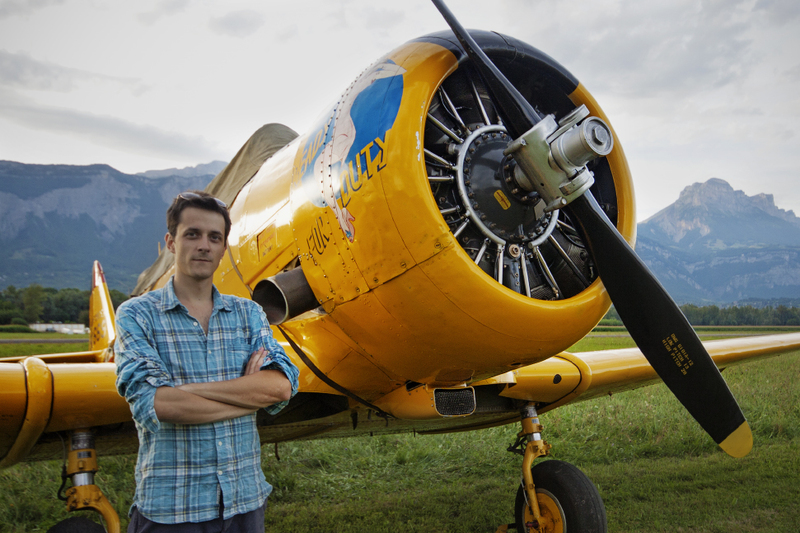 We’ve focused on air travel in this article, but really, you can take your bottle everywhere. 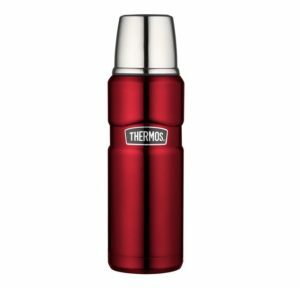 I take my thermo bottle with me all the time, whether it’s to work, on going to the lake or on a hike. It usually brings the tea or coffee in the morning, and later I rince it off and use it to drink water all day. There are ways to refill will water almost everywhere, and as it turns out, tap water in the US, UK, and Europe is as safe than bottled water, as it is subjected to serious quality control. Carrying a bottle is a habit. 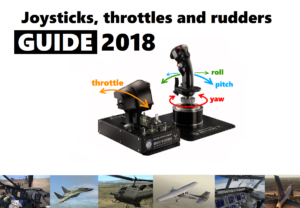 Most of the time, you can go by without one, but having one will make your journey way more enjoyable, especially in the air. I sometimes tend to not drink enough water, and having an every-day-cary bottle with me, whether it’s when I’m flying on in my daily life, helps with getting those 2L in. You’ll find that especially in the air, a personal water bottle turns into a luxury! So there you have it, I hope you have found this bottle breakdown useful.! Affiliate disclosure: Thefullgull.com is a participant in the Amazon Services LLC Associates Program, an affiliate advertising program designed to provide a means for sites to earn advertising fees by advertising and linking to amazon.com.